Replacing or adding baseboard trim to interior walls is a simple, cost-effective way of dressing up and adding value to a home. Before purchasing, first consider the style, material and finish that will look best; then compare the cost with your budget. 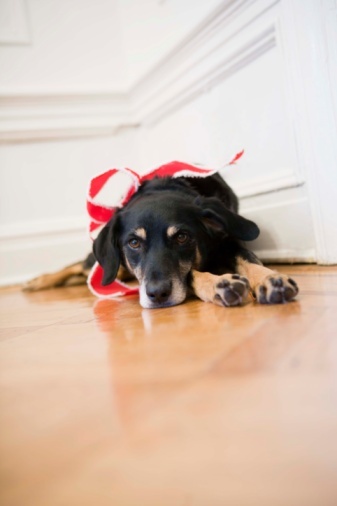 Good up-front decisions will save you from making costly decorating mistakes. Baseboards dress up a room. 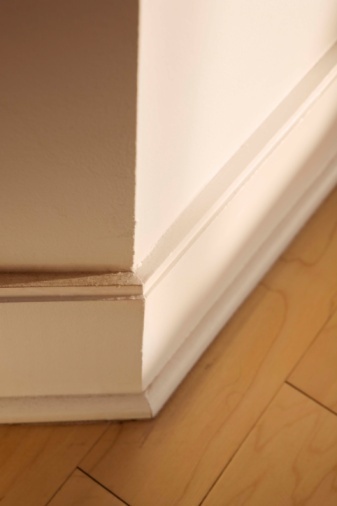 Determine whether you need to match existing baseboard trim or replace all of it. This decision affects the style you choose, the finish, and your budget. Consider the needs of the room. Vinyl cove baseboard, for example, may be an appropriate choice for a bathroom or kitchen, but not for a living room. 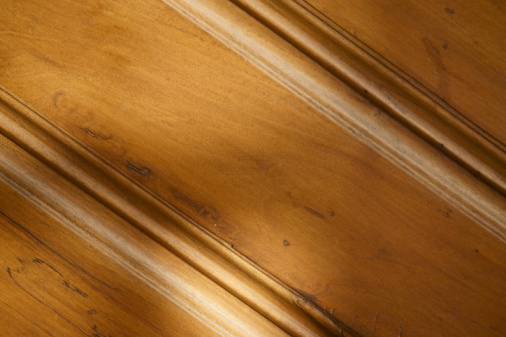 Identify the material of any existing baseboard trim that must be matched. Take a piece of the existing baseboard to a home improvement center for identification if you're uncertain. Most baseboard is made from hardwood or medium-density grade fiberboard (MDF), which is usually painted because it can't be stained and doesn't have grain. Decide how tall the baseboard should be, if you're replacing the existing baseboard, by considering ceiling height and width of door trim. Select baseboard that is tall enough to "be a noticeable accent without overpowering," according to the website One Project Closer. One rule of thumb is to use baseboard that is 5-1/4 inches tall for a room that is 8 feet tall. Use taller baseboard in taller rooms. Select the style you like. Decide whether it should have a modern, sleek-looking profile or a more elaborate, historic design. Visit home improvement centers, lumber yards, and websites such as InvitingHome.com to view different types and compare prices. For a more elaborate baseboard, visit a local mill shop that specializes in custom and standard baseboard in a wide variety of wood species and styles. Review your project budget. To save money, choose a standard in-stock style in a material suitable for painting. Consider budget-priced hardwood if stained baseboard is desired. The website I Can Fix Up My Home recommends poplar. Remember that putty and paint can hide a variety of problems, but stain can't. Select a painted finish for pine or MDF baseboard. For staining, select a natural hardwood with a clear, attractive grain. Measure the linear feet of needed baseboard. Minimize the joining by purchasing longer pieces, One Project Closer advises. However, the decision to buy longer trim requires allowing for waste. Visit lumber yards and home improvement centers for a wide choice of products. For a more elaborate baseboard, purchase from a local mill shop that specializes in custom and standard baseboards in a variety of styles and wood species.